Home » Blog » How to get the top-notch candidates through SEO-enabled Recruiting? How to get the top-notch candidates through SEO-enabled Recruiting? 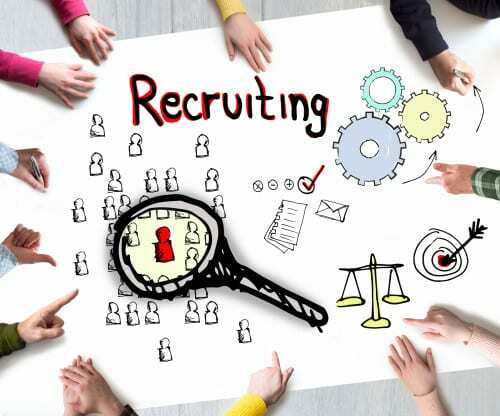 With the market stretching more to the internet-enabled products, services virtual world experience becoming realer than the physical one, recruitment industry can unleash many potentials unharnessed so far. Your recruitment strategy, in modern business contexts, is interwoven with many motives. There is a task to present your brand identity, the organizational culture with the accurate content display. That ways you allow the job seekers to access all the information about why they should be interested in you. We already know how a super-attractive career site is crucial to your recruitment strategy, and the results seem pretty endowing. The impact is again enhanced when your career website is mobile-friendly and has better navigation setups. A number of potential candidates showing up, higher visibility among your target audience, and a more interactive response from your talent pool: sounds great! It’s helping a good number of passive candidates who earlier restricted from applying for a job because they feared that their identities might be compromised or just because they didn’t have time to initiate a job change. But what good a career website that has no good traffic? Will your recruitment strategy be indifferent if your career site doesn’t perform? You may have tempting positions to offer, better deals and convincing pitch to woo the candidates, but nobody hears about a tree that fell in the forest. So what are we going to do about it? Considered using SEO techniques to work for your recruitment site? Most recruiters have a hard time in speeding their process, but they are confused to find a method by which the job seekers approach them and not the other way round. We have done consultancy, advertisements, all that stuff, but the results are not convincing, isn’t it? With SEO, you can speed up your recruitment moves because apart from making your careers site pages gain more authority on the SERPs, these optimization techniques get you quicker results and more qualified candidates all in one go. Unlike the traditional advertising system, that promises only time-specific results, the impact of SEO compounds with time. You can imagine your SEO investment to get dividends over time because it initiates a recurring cycle. More visitors come to your careers page, more likely are they available to convert, thus improving your ROI, more particularly regarding lower cost-per-application and hire. We believe what we see, especially when we see a company’s site appearing in the top ranks of Google search pages. Job seekers make a good perception of your brand when your recruitment strategy is in sync with the search results. Remember the idea behind pursuing SEO-methods in your recruitment strategy was to reduce the costs. As it turns out, the SEO is not a holy cow either. Why would you incorporate a practice that costs you at the beginning itself? Expanding business operations is a good thing, but is it the best time you have to do that? While SEO methods are good, you don’t necessarily need to do these technical jobs yourself. Rather hire an RPO that has a consistent ranking on the SERPs and your aims are achieved with much less trouble. High turnover costs that your recruiting process already suffers is a big concern, especially when you look at the annual HR budgets. It has less to do with your staff’s capabilities or their compensation; it is about the flaws in the existing recruitment methods. RPOs have enhanced techniques to get you the best talents, selected after rigorous analysis from a higher bulk of potential candidates. Your decision to outsource your recruitment process to an RPO vendor that has proven its ability in performance can be crucial to your brand’s success. Getting quality work at a reasonable price from your outsourcing partner can help you deal with cost overrun and that is what every prospering company loves to do.